The Maker Movement is rapidly growing at educational institutions around the world and across age and employment levels, from kindergarten to mid- and late-career. “Making” offers complementary learning environments to the traditional classroom and helps participants develop skills that differ from those developed in traditional student projects and learn-by-doing classes. 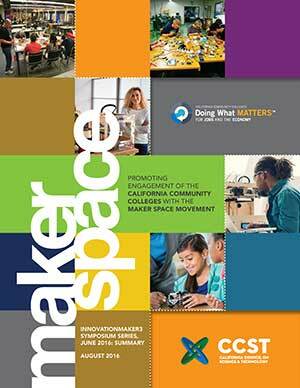 In 2016, CCST published a report at the request of the California Community College Chancellor’s Office (CCCCO) to inform efforts to develop a statewide network of makerspaces linked to California Community Colleges. CCST followed this with the InnovationMaker3 Symposium Series to bring together stakeholders to begin building the CCCCO network. 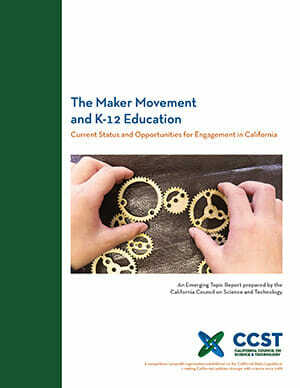 This paper follows on CCST’s previous studies of Maker Education, providing an overview of the impact of the Maker Movement on K-12 institutions and opportunities for engagement with institutions of higher education and the Maker Movement at large. It includes a review of the history of the Maker Movement overall and its relationship to pedagogical theory and practice, an overview of current examples of Maker Education in K-12 environments, and identifies issues needing further study. The Maker Movement is growing at educational institutions around the world, across age and employment levels, from kindergarten to mid- and late-career. 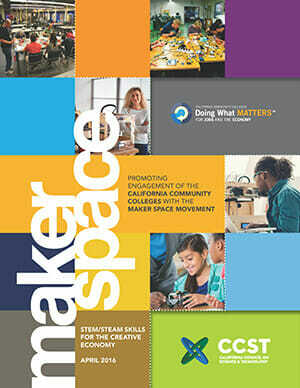 This includes materials to inform the development of a playbook of considerations and recommendations for establishing a network of makerspaces. 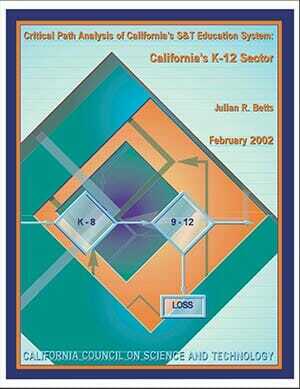 This report, the second in a series of six prepared as part of the Critical Path Analysis project, analyzes the K-12 sector. 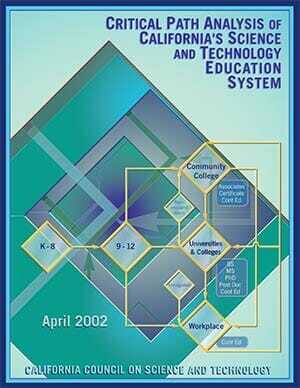 This study, for the first time, analyzed the educational system as a whole, integrated, and inseparable system.